Up your comfort food game with these delicious cheesy recipes you’ll want to make for dinner right now! I’m a believer in trying to eat healthy, but I also believe in balance. The heart wants what the heart wants, and sometimes the heart wants cheese. I get it. 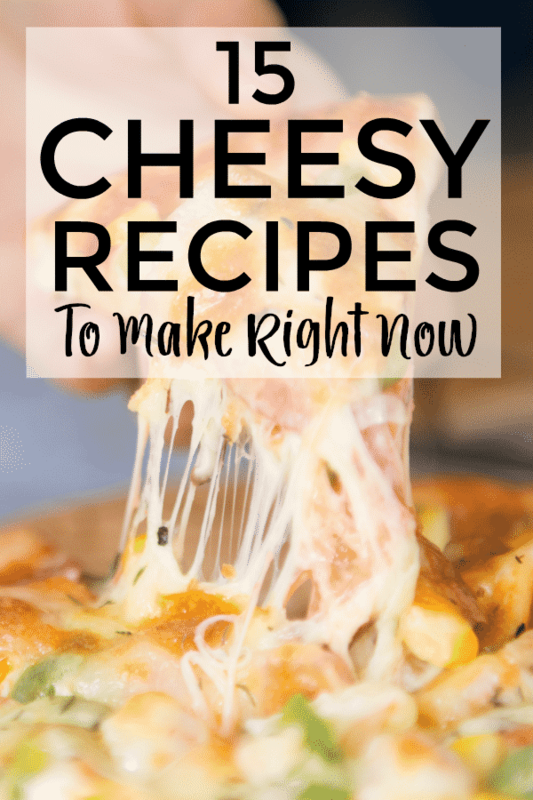 So on those nights when nothing but comforting and cheesy will do, we’ve got you covered with these 15 cheesy recipes to make for dinner (or lunch or a midnight snack – no judging). 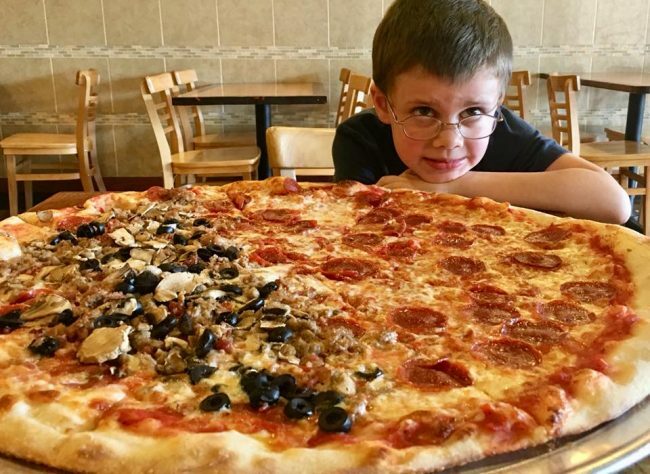 Sure you can go with a classic Four Cheese Pizza like the one from I Am A Food Blog to get your cheese fix, but we also really love pasta around here. In fact, my love of cheesy pasta dinners started in childhood when my mom introduced me to her homemade mac’n’cheese. My kids seriously won’t touch it (yes, really) so I don’t make it nearly often enough. When I do though, I add buffalo sauce and bleu cheese. Because I can! Cheesy Chicken Pasta by Inside BruCrew Life, Five Cheese Skillet Mac and Cheese by Love And Olive Oil, and this Cheesy Baked Ziti Recipe by I Heart Naptime are some other great cheesy pasta dinner options. Sandwiches are good already, but they are better toasted and full of melty cheese. It’s science. Check out these yummy recipes for cheesy sandwich goodness. I’m loving ideas for main dishes because sometimes baked chicken just isn’t going to cut it. And if you’re on a low carb day with Keto or the Faster Way to Fat Loss eating plans, this Keto Spinach And Feta Stuffed Chicken Breast by My PCOS Kitchen will hit the spot! Also, this Cheesy Ham And Potato Soup by Lil Luna would be perfect on a chilly day! Don’t think I forgot the sides! Maybe you just need a little something to go along with your meal plan. Here are some tasty sides for you! Are you hungry yet? I sure am. Hopefully you can spice up your meal plan with some new ideas. And if you have a great cheesy dinner recipe, please let me know! I’m always looking for more.